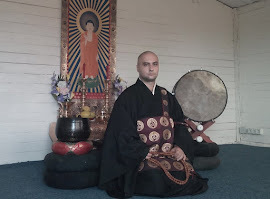 I try to explain here again in easy terms who is Amida Buddha and how we should understand the Pure Land. First of all, what is a Buddha or more exactly what a Buddha is not? “Brahman, the defilements by which — if they were not abandoned — I would be a god: those are abandoned by me, their root destroyed, made like a palm tree stump, no longer subject to future arising. The defilements by which — if they were not abandoned — I would be an angel… a yakkha… a human being: those are abandoned by me, their root destroyed, made like a palm tree stump, no longer subject to future arising. The state of human beings is limited and limited by various kinds of delusions, so we are mistaken if say, for example, that Buddha is a human being. This is because the state He attained is higher than the human state of spiritual evolution. Especially some monotheists accuse Buddhism that its Founder is just a human or even some Buddhists say that Buddha was a human being in order to show that we don’t promote idol or gods worshiping. Both methods of speaking about a Buddha are false, because although the physical appearance of a Buddha may be human, the state that which He attains and in which He dwels is supreme in the whole universe. The ego’s permanent run, led by his desires and karma is followed by suffering, birth and death and does not end until Enlightement or Awakening is attained. A Buddha is one who escapes from this maddening run. The word “Buddha” means “The Awakened One”, that is awakened to the true reality, to the Absolute (or call it as you like). He goes beyound birth and death, escaping the chains of karma. His existence in the Universe is supreme and beyond our thinking which is still enslaved by illusions. A Buddha has Infinite Wisdom and Limitless Compassion(1), helping the sentient beings to break free from birth and death. In Buddhism the situation is different from Christianity because there isn’t a Creator God, a Ruler, nor a Judge. Everything depends on karma and a Buddha is not a creator, a ruler nor a judge, but His existence in the Universe is supreme. He is just “The Awakened One” and He acts as a guide and Saviour, capable of true Compassion which is no longer enchained by the attachments or the illusions of ordinary beings. Through Buddhism the Ultimate Reality, the Liberation or Nirvana is accesible to all beings who observe the path given by the Buddha. A very important doctrine in Buddhism says that we can become Buddhas because we already have in us this possibility or potentiality. Thus, it is said that all beings, no matter their delusion or actual misery, have in themselves the Buddha nature and the potentiality to become a Buddha. It doesn’t matter if you are a worm, a cockroach, a dog, a human being, a hungry ghost or a god, etc you have in yourself, like an unknown jewel thrown in the mud, the Buddha nature and the possibility to become a Buddha. This is a good news, but unfortunately it doesn’t keep us warm too much, because those who really come to liberate themselves from delusions and attain this state of a Buddha are extremely few and in our times, as Shinran said, they are completely non existent. Therefore, only the Path of faith in Amida remains the most accessible method. Any Buddha is completely free and continues to manifest himself in various ways and forms in order to guide others to Liberation. All Buddhas attain the same ultimate absolute reality, this is why it is said that all have the same essence or nature, often called the Dharma body of ultimate reality or Dharmakaya. Further, every Buddha has multiple transcendent manifestations, visible only to those well trained in Samadhi or profound concentrated states of mind. 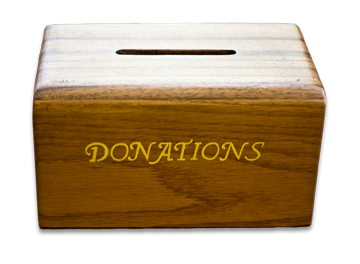 This manifestations can take various forms to help unenlightened beings. Various Buddhas create spheres or fields of personal influences, known as “pure lands” where the beings who entrust in them and create special links with them, can be born after physical death. In order to better understand how things are with these pure lands or spheres of influence, please try to remember how is it that in the presence of some people you suddenly feel better or worse or sometimes more excited or tired. Every man has something like his own sphere of influence – which is the natural manifestation of his own inside states of mind – and can influence more or less the others. Some people automatically change the atmosphere in a room by their presence, for example a beautiful woman will surely make many men to feel horny or a killer will create an atmosphere of fear and coldness. In the same way, the presence of a Buddha inspires and influences, but this influence is one which brings Enlightenment or positive states of mind. When we are in the presence of a killer and we are influenced by him, we may say that we are in his “land” or his sphere of influence. Also, when we are born in the Pure Land of Amida Buddha, we automatically arrive in His field whose influence makes us become ourselves Buddhas. 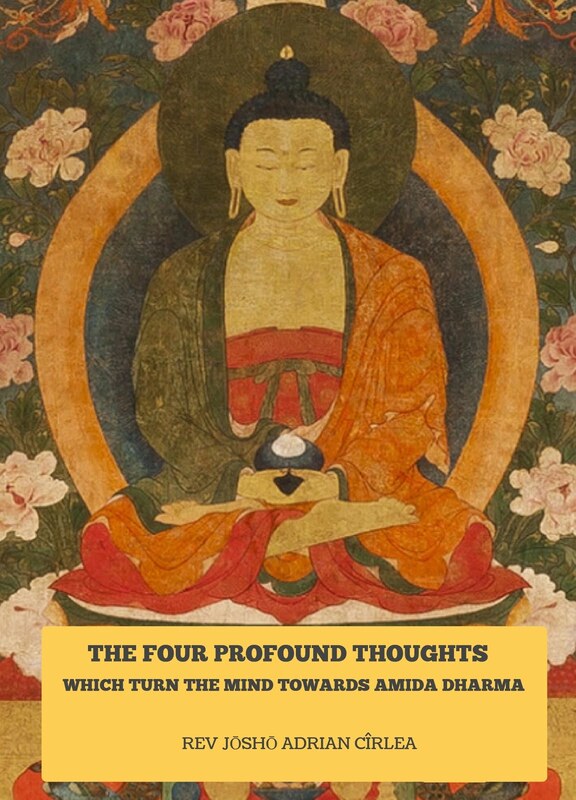 This Pure Land of Amida is real and effective, being the manifestation of Amida’s Enlightenment in a form that we can accept and in which we can aspire to be born after death. It is not at all impossible for the supreme Enlightenment of a Buddha to have various forms for the sake of unenlightened beings. These special and transcendent manifestations of a Buddha are called Sambhogakaya or the Body of Recompense. Various Buddhas have different bodies of recompense, due to the vows they made when they engaged on the Path. 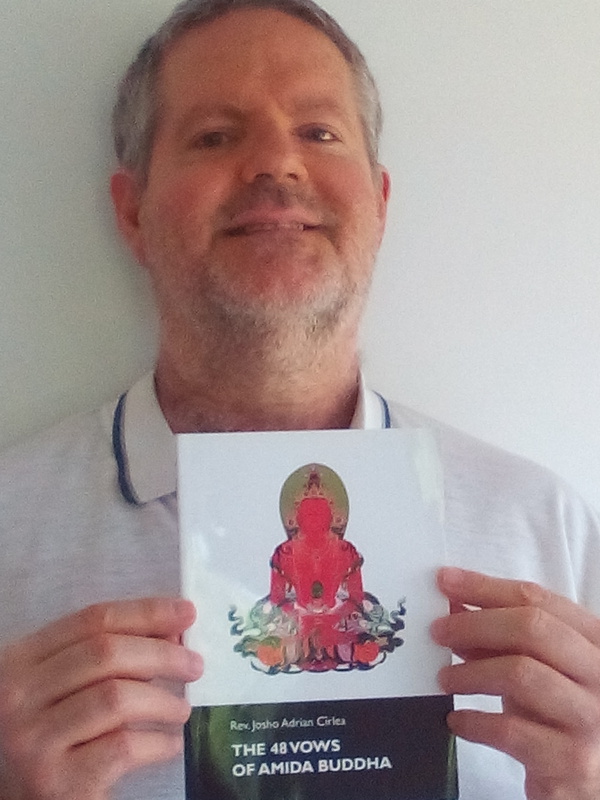 Lets say that a person named Jim begins to follow the Buddhist Path and he makes a vow to save especially the beings with physical disabilities. In the moment he becomes a Buddha, he automatically has access to the ultimate reality (Dharmakaya), which is the same for all Buddhas, but he will have a different transcendent manifestation, especially made to help that category of beings for which he made specific vows – that is he will have a Sambhogakaya different from other Buddhas. This body is named the “body of recompense” because it is the effect or the “recompense” of his practices and virtues, of the special vows he transformed through his Enlighetnement in effective methods of salvation. 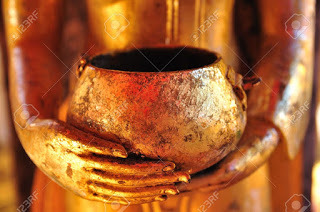 Next, the physical body in which somebody becomes a Buddha is called Nirmanakaya or the body of transformation. Thus, if Jim becomes a Buddha he will be called Buddha Jim :)) and he will have a body of flesh (Nirmanakaya), which has a visible beginning and a visible end, a transcendent body (Sambhogakaya), with a beginning in the moment of the attainment of Buddhahood, but without end, which is the result of his vows and virtues, different than those of other Buddhas and an ultimate “body” (Dharmakaya) – without beginning and without end which is the same with all Buddhas. In the same way, the Buddha we call Amida, was long time ago, in another era than which we are now living, a monk named Dharmakara. 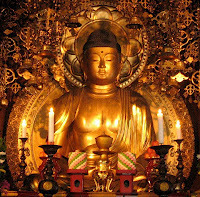 He made the aspiration to become a Buddha, but what makes Him so different from other Buddhas, is that He made a special Vow which promises salvation (Buddhahood) not only for those capable of some hard practices and virtues, but to all and especially to those who are incapable of any practice. He promised the creation of a special Pure Land in which everybody can have access and once born there they will themselves become Buddhas, completely free of birth and death and capable to save other beings. In accordance with His Primal Vow, only faith is necessary to become a Buddha in His Pure Land, this faith being manifested in the saying of His Holy Name. 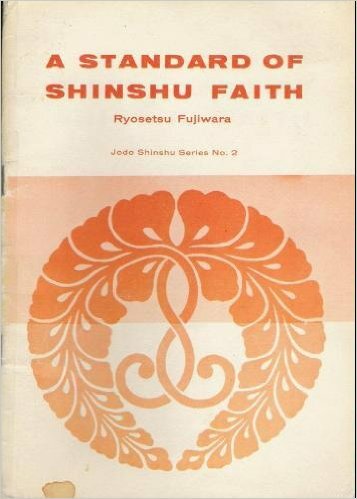 Faith (shinjin) is not something complicated, but a simple entrusting in Amida, that is to consider His Primal Vow to be true and efficient. In the moment Dharmakara became Amida Buddha, the vows and His Pure Land became real and effective in the salvation of sentient beings. 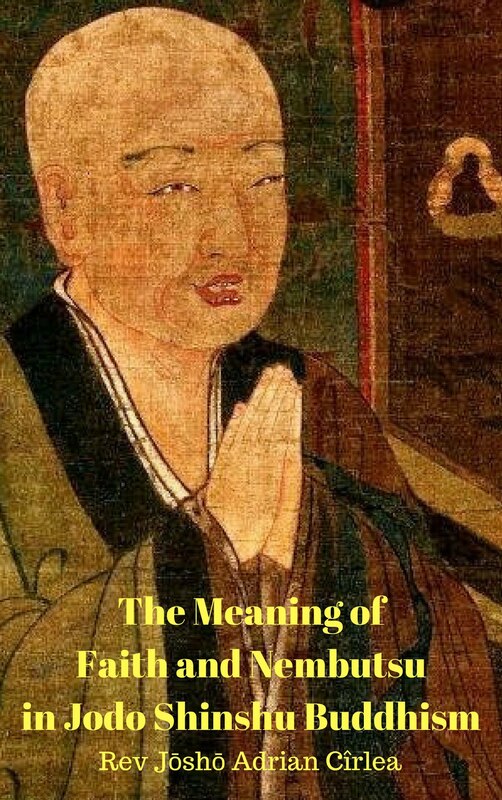 This is, in short, the story of Amida, told by Shakyamuni (the historical Buddha) to His disciples and which we, the true Jodo Shinshu followers, consider it real and trustful. Any Buddhist teaching can be considered authentic if it was approved or presented by Shakyamuni Buddha himself. 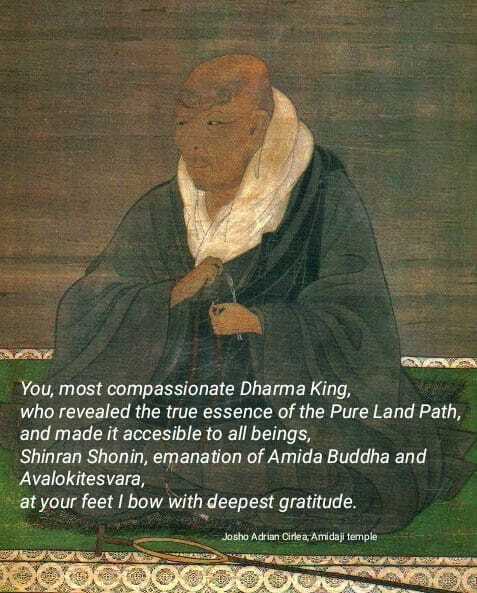 The teaching about the path of faith in Amida Buddha and His Pure Land, where all beings can attain supreme Enlightenment, no matter their capacities, is a part of these teachings taught by Shakyamuni. 1. Amida comes from the sanscrit terms Amitabha and Amitayus, meaning Infinite Life and Infinite Light, which represent His Wisdom and Compassion. I found this article very informative, thankyou. I was wondering if Buddha Shakyamuni made any specific vows as Buddha Amida did? I do not know of any specific, separate vows of Shakyamuni. But as his main reason of coming to this world was to preach Amida's Vows, we may say that this was his specific vow - to make all beings awaken to Amida's Call. Do you have any scriptural references regarding your statement that Shakyamuni's main reason of coming to this world was to preach Amida's Vows? Shinran Shonin stated in his Kyogyoshinsho and also in other texts that Shakyamuni’s main reason for coming to this world was to preach about Amida’s Primal Vow which is to be found in the Larger Sutra. In short, his reason for stating this is that among all methods Shakyamuni preached during his life on earth only this method (the nembutsu of faith contained in the Primal Vow) is the one that helps EVERYBODY attain Buddhahood, no matter their spiritual capacities. 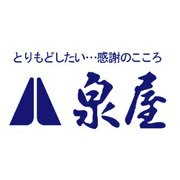 Other methods are useful only for a certain category of people, but the Primal Vow of Amida can be easily followed by all. And the main reason of all Buddhas to come to this world (not only of Shakyamuni) is to bring ALL beings to the attainment of Buddhahood, not only the spiritual elites. The question is, among all Buddhas Vows, whose Vow is most capable to bring ALL beings to Buddhahood if not Amida’s Primal Vow? So it is logical that preaching Amida’s Primal Vow was the main reason of Shakyamuni’s coming to this world. This is Shinran’s main argument. And he explains this in detail in many passages of his writings. Ps: Shakyamuni stated at the end of the Larger Sutra where he told the story of Amida and his Primal Vow that this sutra will remain longer in this world after all the sutras will disappear. This is very important. Also his face was changed dramatically when he preached this sutra, a matter which Ananda, his closest disciple observed and asked the Buddha to explain the reason for such a change in appearance. Shakyamuni stated that he was about to preach something very important to the world. Please read that sutra to see these things for yourself. 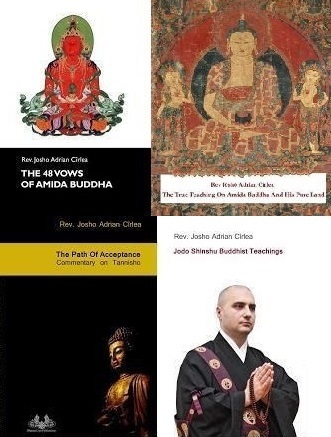 But also immerse yourself in the study of Shinran’s interpretations of the Three Pure Land sutras to understand the unique position of Jodo Shinshu in the Buddha Dharma. Thankyou Josho for this helpful response. I intend to read the material you have suggested over the next few days.